1. Limit intake of sugary foods and drinks, even natural fruit juices and sweeteners like honey, agave and brown rice syrup and many more, since most dandruff conditions are caused by excessive fungal activity that feed off natural scalp oils. High amounts of sugar contribute to fungal growth and inflammation of the skin worsening the problem. 2. Omega 3 fatty acids, both plant and animal-based, are great dry scalp remedies working by supplying body with vital ingredients for healthy skin and hair. Omega 3 also works by reducing inflammation and boosting your immunity naturally. 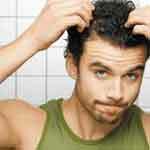 Flaxseed oil, walnuts and fish oil are great natural dandruff remedies that help fix the problem from the inside out. 3. Mix equal parts of apple cider vinegar and warm water, massage all over your hair and scalp, leave on your hair for 30 minutes for one of the best dry scalp remedies that has additional antibacterial and antifungal properties. Apple cider vinegar additionally helps balance hair’s natural PH balance. 4. Soak two tablespoons of fenugreek seeds in some water overnight and puree them the next morning to a fine paste, apply to your scalp for 30 minute, rinse properly. 5. A couple of teaspoons of lime or lemon juice should be added to a large container with water and used as a final hair rinse to leave you with dandruff-free and shiny hair. Acidity in citrus juices will help control scalp oil and is considered among the best natural dandruff remedies. 6. Brushing your hair and massaging your scalp daily will help improve blood circulation in your scalp and help remove dandruff scales to reveal healthier and shinier hair. 7. Put kitchen herbs to work as great natural dandruff remedies that can address your itchy dry skin. Steep a handful of oregano leaves in hot water, strain and rinse your hair, massaging the scalp thoroughly since oregano possesses very strong antibacterial and antifungal properties. 8. If your dandruff problem is exacerbated by especially oily scalp that makes getting rid of dry flakes difficult, use organic extra virgin coconut oil that will help soften, loosen up and massage away those pesky white scales. Follow by a hot rinse and enjoy your newly dandruff-free and silky hair. 9. Aloe Vera gel is one of the oldest and most reliable natural dandruff remedies and should be squeezed directly from the aloe plant for maximum benefits and applied directly onto hair and scalp. 10. The last but not least among natural dandruff remedies is tea tree oil that can be added to your favorite natural shampoo to help fight bacterial and fungal overgrowth. Just a few drops of this oil will do for one hair wash.